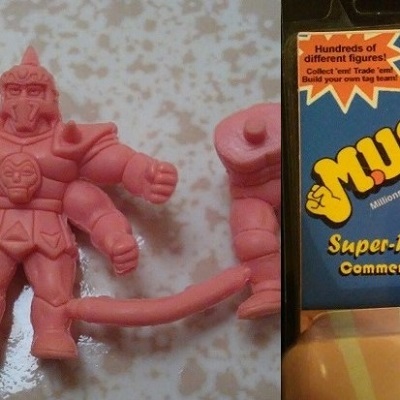 The final M.U.S.C.L.E. poster figure is #232. This is Auction Watch #232. That is a totally meaningless coincidence. This Auction Watch is a little different than normal. 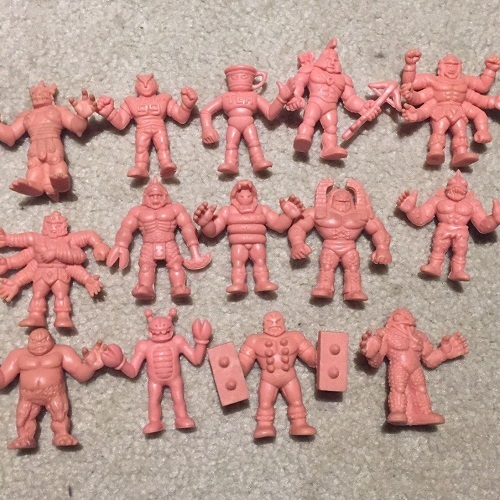 Last week I was curious to see how some M.U.S.C.L.E. auctions turned out. I thought it might be fun to see how things actually turned out. With the first auction, which started at $0.01, I didn’t expect the price to climb much higher than $4.25 ($0.37 per figure). I didn’t think it wouldn’t be outrageous for this lot to end around $8.25. The first auction sold for $8.00 ($0.73 per figure). If I had to place a bet on the average per-figure price of all the auctions, then my bet would be $0.60. The average per figure price was $0.62. I don’t say that to celebrate. 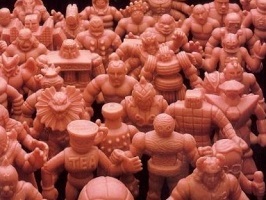 I say that to show that the value of M.U.S.C.L.E. figures has stayed very consistent over the years. Some sellers might be able to trick people into paying higher prices, but the value has stayed very steady for almost two decades. 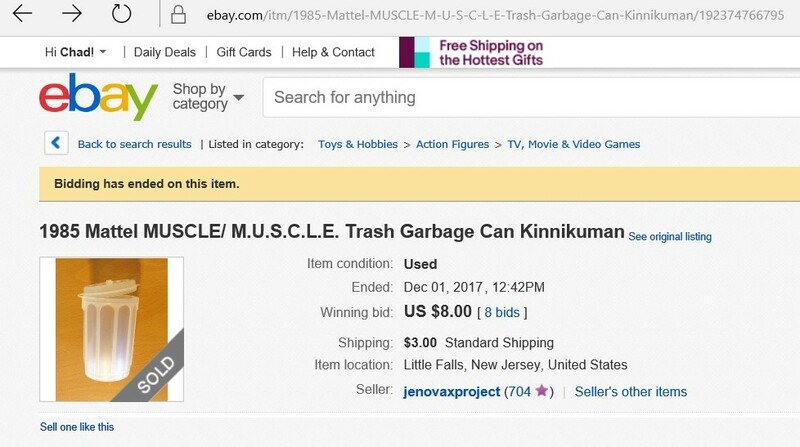 The second auction last week was an empty 10-pack can. The final price was $8. I predicted $5. But I’m very confused by something. Can somebody help me? The 0***4 (47) $7.50 bid was out bid by e***s (368). The new high bid was $8. That makes perfect sense to me. 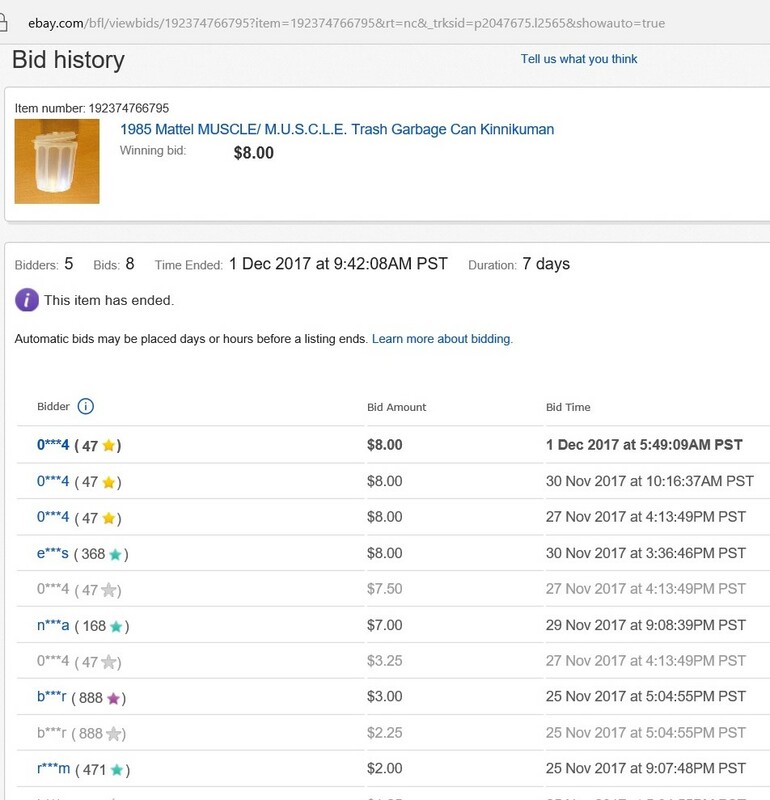 How did 0***4 (47) become the new top bid also at $8? I’m not claiming shenanigans. I’m claiming my own confusion. Doesn’t the automatic bid have to be $8.01, or $8.50, or some minimum increment? It might be a very silly simple reason, but I can’t remember ever seeing something like this situation. The last four results from last week we not a huge surprise to me. The third auction didn’t sell. The fourth auction didn’t sell (it was relisted for $15 – and, as of writing, has zero bids). The fifth auction didn’t sell (it was relisted for $15 – and, as of writing, has zero bids). The sixth auction has not sold (yet?) with its $26 BIN price. I asked it last week; I’ll ask it again with even more specificity this week. If I needed the money, then doesn’t it benefit me more to get $6.20 for 10 figures instead of nothing at $17 or $35? If I don’t need the money, then why bother over-pricing my listings? I genuinely don’t understand this thinking. I’m open to any insight, or even a guess, readers can offer. Before Auction Watch leaves the poster I thought there were two auctions worth noting. 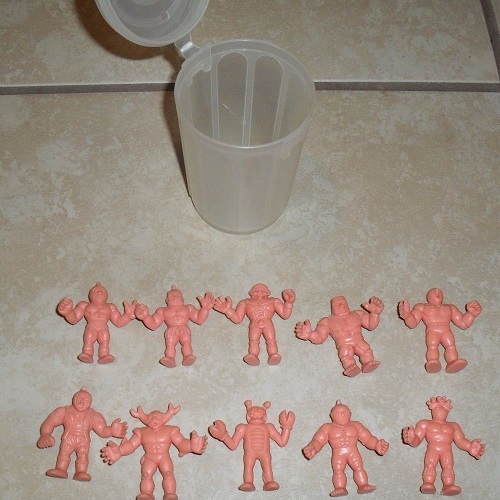 The first auction, Vintage 1984 JAPAN SELECT Fake Muscle Men Figure Lot 7, is a lot of six MUSCLEMANIA figures plus a Weirdball Wrestler. The lot has an opening bid of $6.99. I wish I needed these figures. They look firm, clean, and are currently a fair price. This lot made me happy. I hope somebody cool ends up with the figures. I hope they go for a fair price because the seller seems cool enough too. Finally, I need an answer from someone that casts figures. 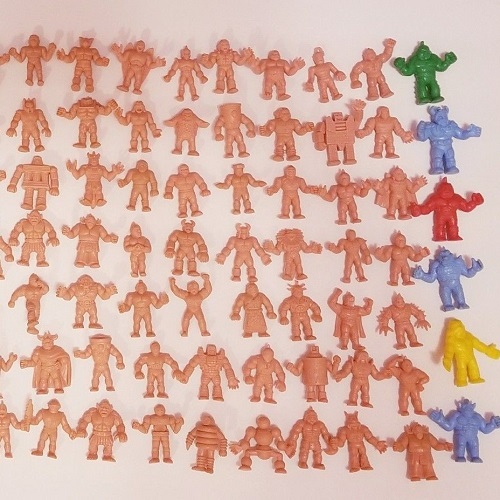 How much would you charge to cast a copy of a M.U.S.C.L.E. figure? 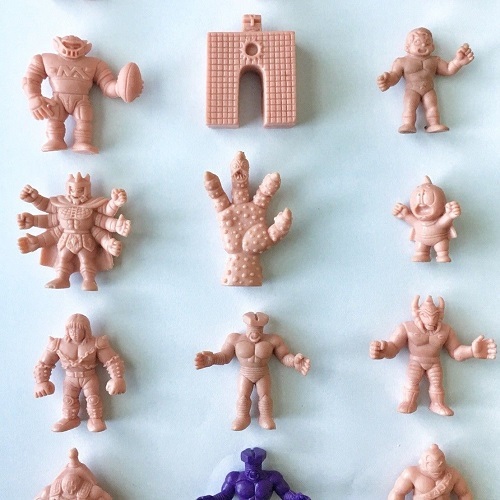 Ideally in a M.U.S.C.L.E. Flesh-like color? I’m guessing the number is less than $50. It better be. This gem was $30. 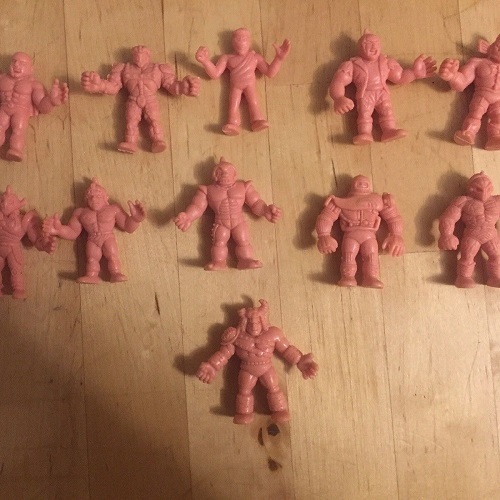 That’s why this auction, M.U.S.C.L.E. 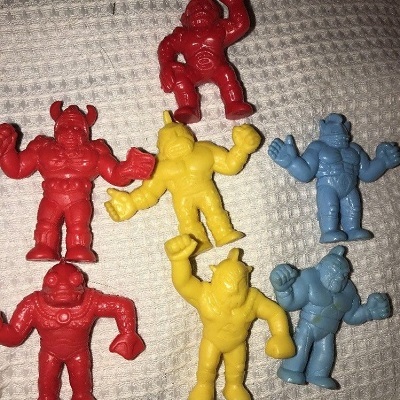 Men Super Rare Y/S.N.T hard to find, was so shocking to me. The figure is clearly one-third of the Super Rare Trilogy Set. Spending how much on this?!?! 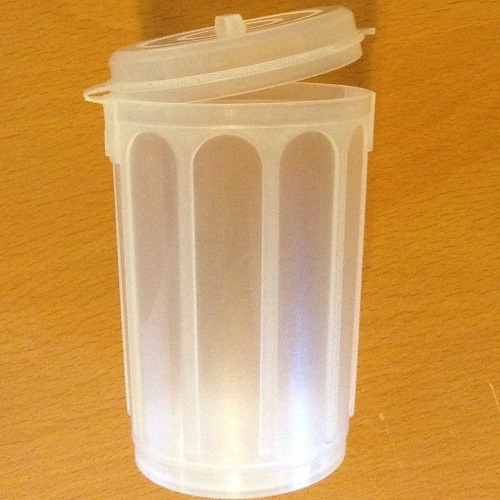 You don’t even get the packaging. You don’t get the other two figures. Why spend so much? I’d want the packaging, at this point, more than the figure. I think the packaging is the “art” that speaks to me all of these years later. Again, I feel like I might be missing something. Am I? Is there a reasonable explanation to the current price of this figure? 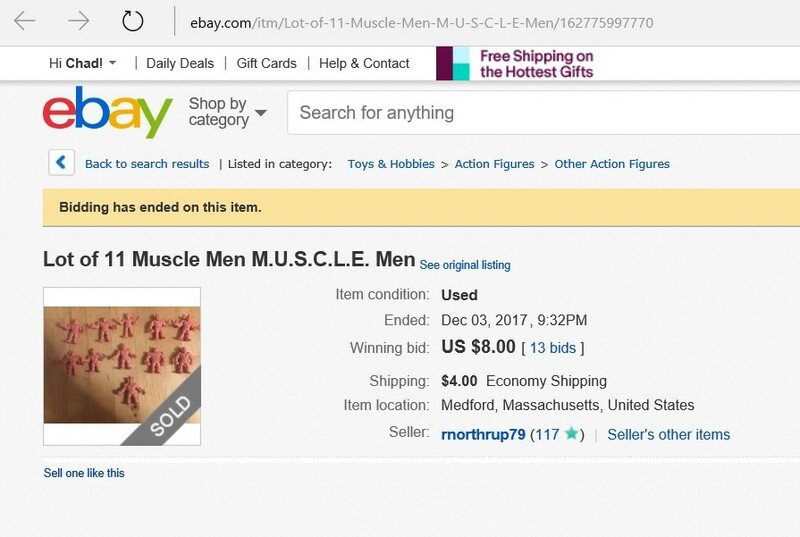 This entry was posted on Thursday, December 7th, 2017 and is filed under Auction Watch, UofM News. You can follow any responses to this entry through RSS 2.0. You can skip to the end and leave a response. Pinging is currently not allowed. Looks like Mr. Shill is in full effect on both those auctions.